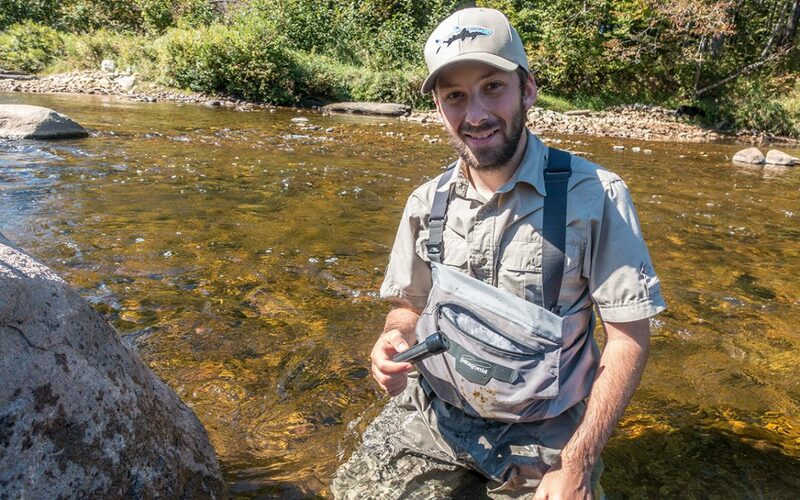 I currently work as Science and Stewardship Director for the Ausable River Association. I am also an Adjunct Faculty member at Paul Smith’s College and am a professional landscape and nature photographer. 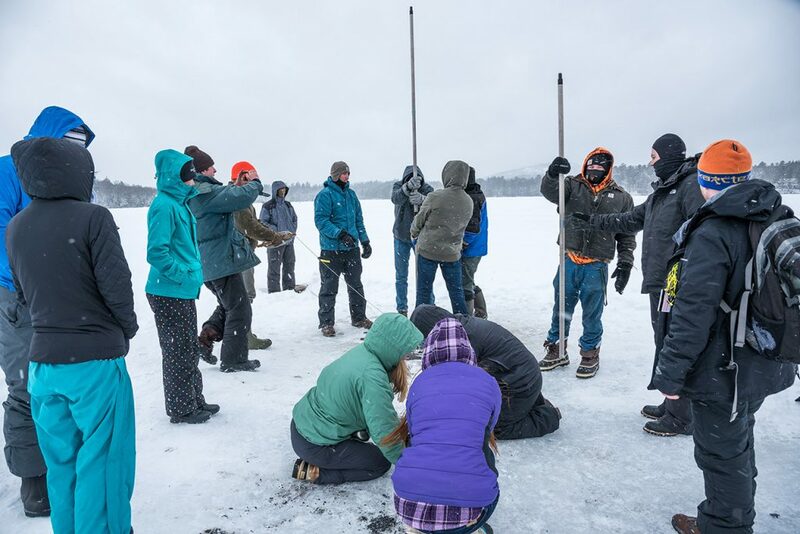 I serve on the board of The Waterman Fund and Adirondack Lakes Alliance, and co-founded Adirondack Wilderness Advocates. Tell us about your Paul Smith’s experience. What was your favorite part? I came to Paul Smith’s College in 2005 as a transfer student from Hudson Valley Community College. I was attracted to PSC because of the location, but most importantly the personal nature of the campus community. Right from the start, I realized my professors sincerely cared about my learning experience. During my second semester I found myself in Curt Stager’s Paleoecology class. I immediately became fascinated with this field. At the same time I was taking capstone planning, and expressed an interest to Curt in doing a paleolimnological project. I could tell he was apprehensive, I was new to the school and had never had him as a professor before. He agreed, and suggested I assist him with a project he was working on in Africa. I declined, instead suggesting a project on Lake George, N.Y. I imagine Curt thought I was foolish to turn down such an opportunity. Working on a project in Africa was very appealing, but I wanted to conduct my own study from start to finish. The entire project ended up taking me a year and a half. During that time, I found myself scuba diving in Lake George to hammer core tubes into the lake bottom, only to get them stuck. Sorry Curt, I still owe you several hundred dollars for that mistake. I spent weeks in the lab learning to identify diatoms, and then counting hundreds of them under a microscope. And I poured over Thomas Jefferson’s journals, trying to find any passing observation of Lake George. Whatever apprehension Curt had in the beginning eventually faded away. He became intrigued enough by the project to pay to obtain Lead-210 and Carbon-14 dates on the core. 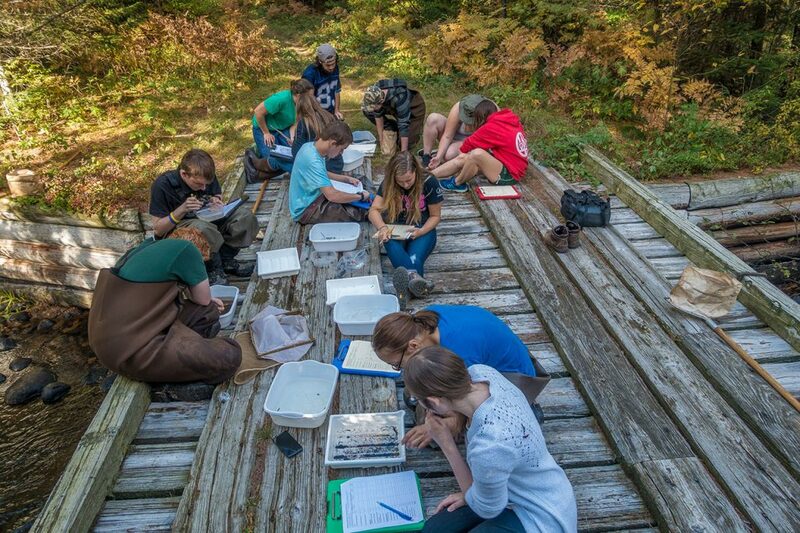 We eventually published the results as an article in the Adirondack Journal of Environmental Studies. 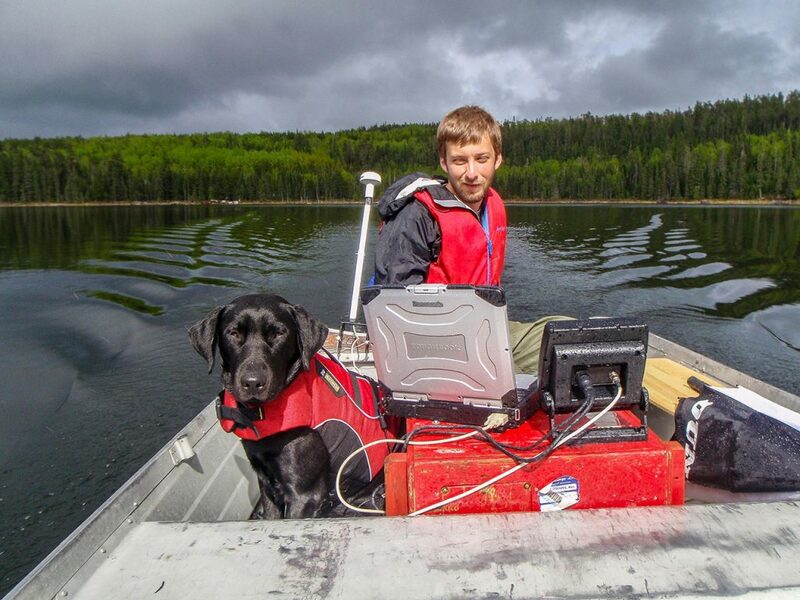 And like almost every research project, our work on Lake George created more questions than answers. 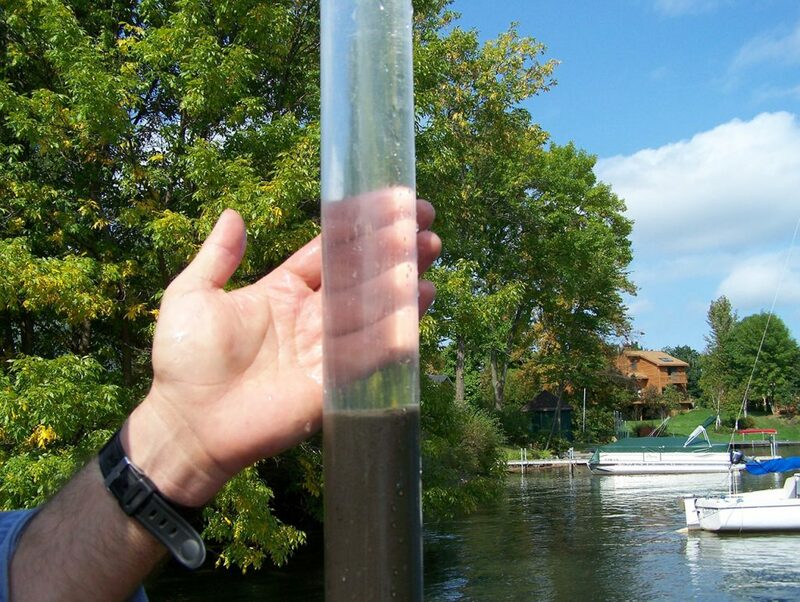 Curt has since received an NSF grant to further explore some of the intriguing findings from Lake George. 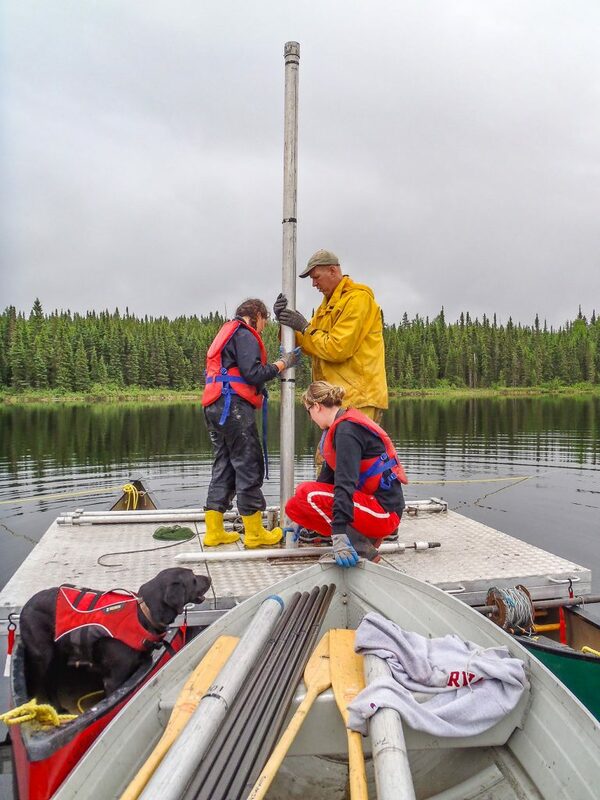 The project also solidified my interest in paleolimnology, which eventually brought me to the Paleoecological Environmental Assessment and Research Laboratory at Queen’s University in Canada as a Master’s, and eventually Ph.D. student. Recently, the entire experience has come full circle. I am now collaborating on, and publishing research with Curt that is answering some of the questions my capstone project raised. How has your time at Paul Smith’s shaped the person you are today and how you approach work/life? Paul Smith’s primarily shaped my views towards education and learning. When I started attending Queen’s University, I was afraid that I would be behind my fellow graduate students because I was coming from a small college. My peers had all attended large universities, which provided them access to and experience with equipment that isn’t available at Paul Smith’s. Overtime that fear faded away. I realized that what Paul Smith’s may have lacked in high end laboratory equipment, it more than made up for in the quality of the professors. I found that some of the classes I took at Paul Smith’s covered material in greater depth and detail than my graduate classes. This by no means is meant to suggest the graduate courses at Queen’s are lacking, but that the upper level courses at Paul Smith’s hold students to a high bar. Perhaps most important, it was what I learned outside of the classroom through developing relationships with my professors that taught me the most. Discussions in the hallway, cafeteria, library, and elsewhere elucidated concepts and ideas that aren’t possible to develop in a class room. It was also through the mentorship I received, and continue to receive, from my professors that defined my Paul Smith’s experience, and in many ways has shaped who I am today. As an Adjunct Faculty member at Paul Smith’s I don’t have the time to develop the same types of relationships with my students, but I hope that in some small way I help provide them a similar experience.